I was so excited to be a guest blogger on Ucreate a few weeks ago. 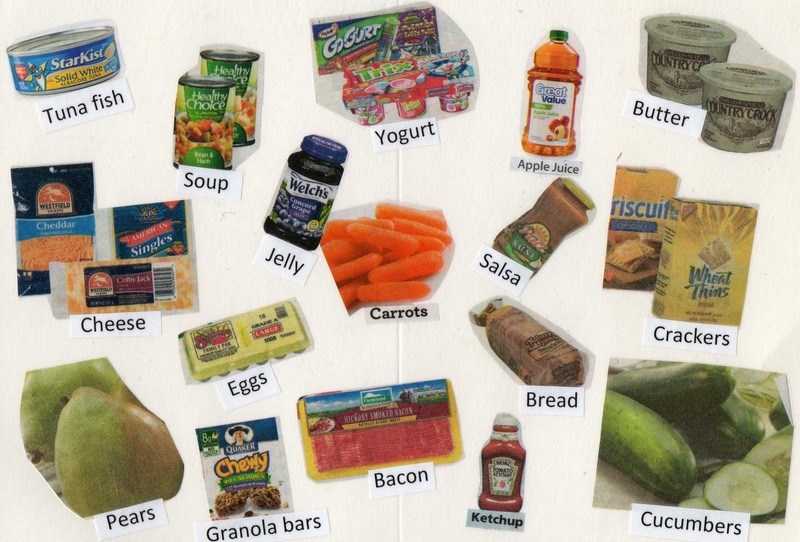 I shared a grocery shopping activity that can easily be created by you. As my son has gotten older, taking him grocery shopping has become more and more difficult. He either wants to get out of the cart and run around or help me shop by throwing everything in the cart. To keep him occupied, I decided to create a way that he can shop with me and learn at the same time. 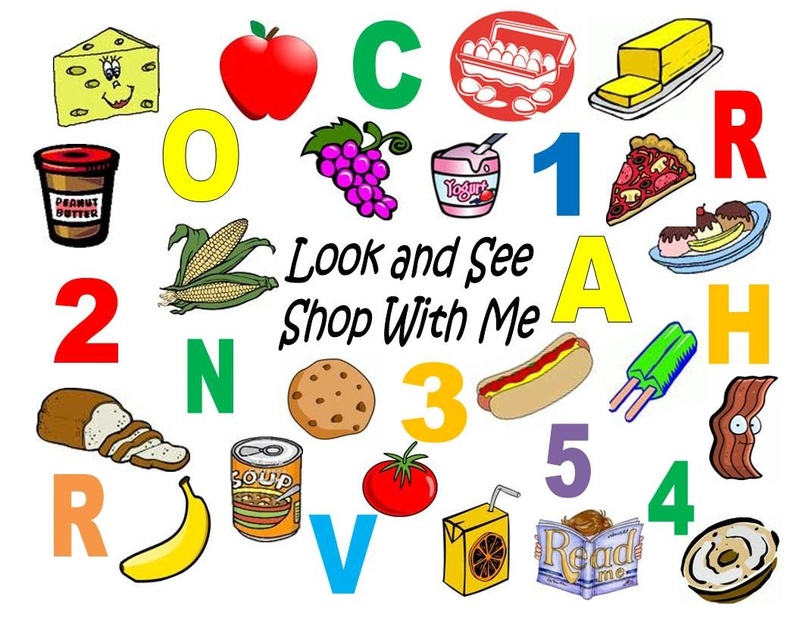 I came up with a grocery store activity called Look and See Shop with Me. There are a couple of different ways to create this activity. 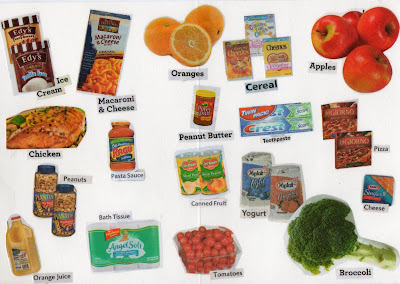 You can copy and paste clipart of different items you generally buy at the grocery store. I created the two shown above by inserting a table into Microsoft Word and then placing the pictures into each box. Then I typed the words, saved it as a pdf and had them laminated. I also used the same pictures to create a collage of pictures, letters, and numbers. 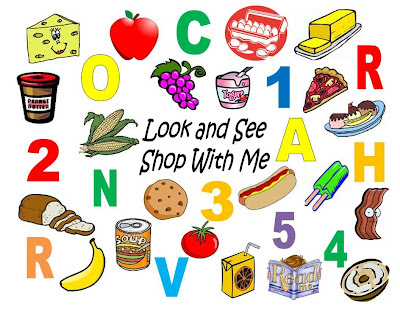 Your child can play I Spy as you grocery shop by looking for the items, letters, and numbers. A third way to create this activity is to use different store fliers to cut and paste items onto a piece of cardstock. If you have an older child, they could help you locate and cut items that you usually buy when shopping. I then typed the words of the item to help with reading skills. The final step is to have everything laminated so they can be used over and over again. Crayons and dry-erase markers can be used and then easily wiped off. I punched a whole in the upper left corner of everything and attached ever with a binder ring. Then I attached a crayon to the ring with string. I hope you have fun creating your own grocery store activity! If you would like to start using this activity right away with your child and don’t have time to create your own, you are more than welcome to download the three that I created HERE. Just take them to your local office supply store and have them laminated. Now, you can enjoy shopping again while your child learns! Please pop in to say hello and check it out, if you would like! 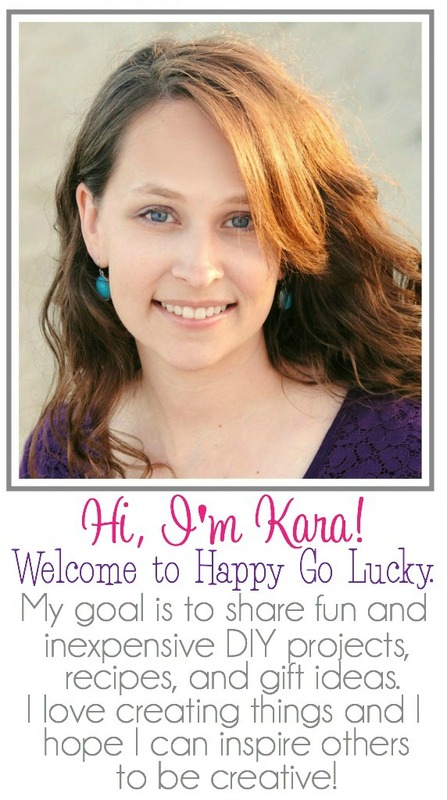 Thanks for this awesome printable! I love it! thanks so much for inspiration and well a new project for the weekend nap time! oh and i found you from my connection with learning is childs play on FB! I’m a feeding therapist and author on picky eating. This idea is absolutely BRILLIANT and I’ll be sure to share it on my FB page, thank you!